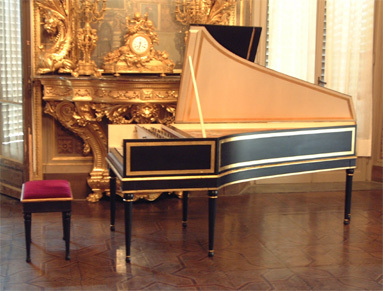 This double manual French harpsichord is closely based on the original by Pascal Taskin from Paris. It is dated 1769, but was almost certainly made earlier in the builder's career, around the middle of the century.It has a five octave range, FF-f'''. The lower manual has an 8' and a 4' register and the upper maual an 8' register. There is a coupler that is activated by pushing back the upper manual. In addition there is a lute stop that can work on either manual. French18th century instruments are normally laquered with gold bands, but often a more elaborate decoration was used. 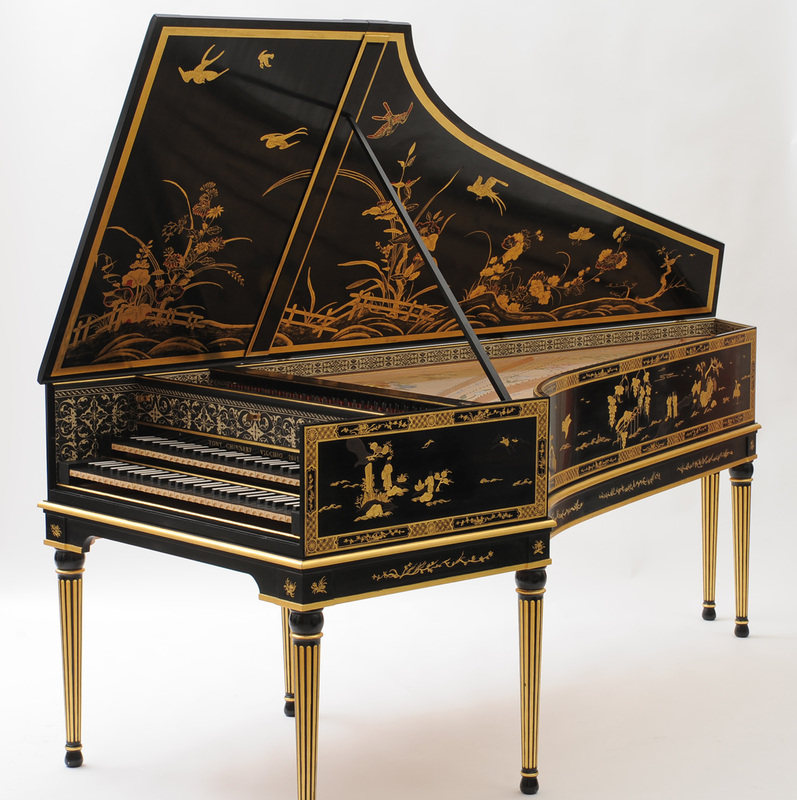 The decoration of the instrument on the right was inspired by a Chinoiserie decoration on a harpsichord by Goujon. The soundboards of French instruments were normally decorated with birds and flowers painted in tempera. there is also a gilt rose in the Ruckers style bearing the maker's initials.